Join The Fun. Maui Paintball is OPEN FRIDAY, SATURDAY & SUNDAYS 11am-5pm. Group Bookings Available Monday - Thursday. Call 808-866-7034 or Reserve Your Spot Online. Thinking of buying Paintball Equipment? 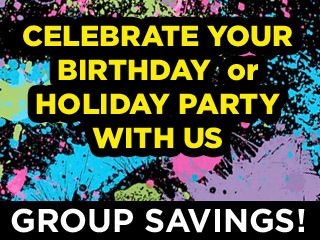 Buy through us and get a membership included! Not only are we cheaper than everyone else but we also include a FREE two month membership with purchase. Buy in advance of Christmas by three weeks (December 4th) to receive item before Christmas. Join The Fun. 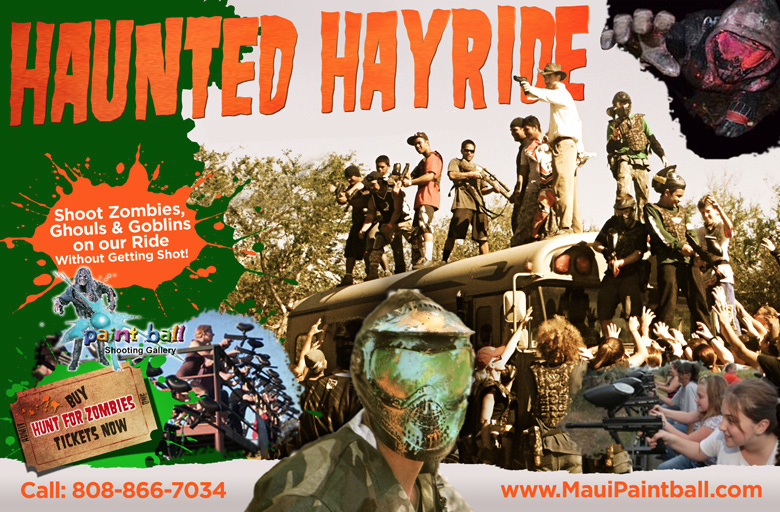 Maui Paintball is OPEN FRIDAY, SATURDAY & SUNDAYS 11am-5pm. Reservations Recommended. Available Monday - Thursday for Groups by Reservation. Maui Paintball is a fun and safe activity for individuals, families, groups, parties, corporate team building, Maui residents and tourists alike. The field is conveniently located along the Honoapiilani Highway in the small town of Olowalu on the way to Lahaina, just a 7 minute drive from Lahaina town and only 25 minutes from Kihei (Click HERE for directions). 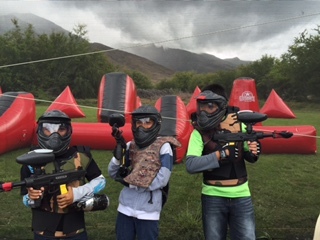 Maui Paintball's fields span over 10 acres and contains multiple tree forts that incorporate over 50 separate trees, totaling more then 4500 square feet. We strive to promote an exciting, fun and friendly environment that brings people together and creates lasting friendships. 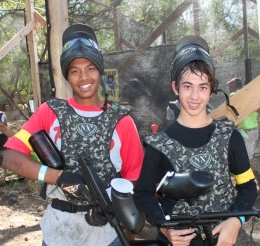 While an element of competition adds thrill to the game, the main focus of Maui Paintball is to have fun. If after exploring this website you are still not convinced that this is one of the most fun activities on the island, please stop by our field and our friendly and helpful staff will give you a tour of the field.